The Natural History Museum’s famous Diplodocus, known as Dippy, is taking a road trip to Birmingham from 26th May - 9th September 2018. The British icon is on a mission to inspire five million natural history adventures, encouraging families to explore nature on their doorstep. 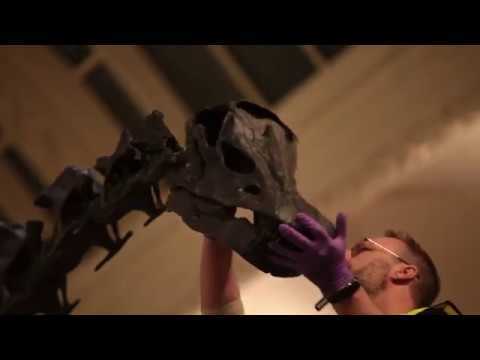 Dippy on Tour will be a free ticketed event. Advanced booking is advised as this will be a very popular exhibition. Dippy, has delighted visitors since he arrived in London in 1905. 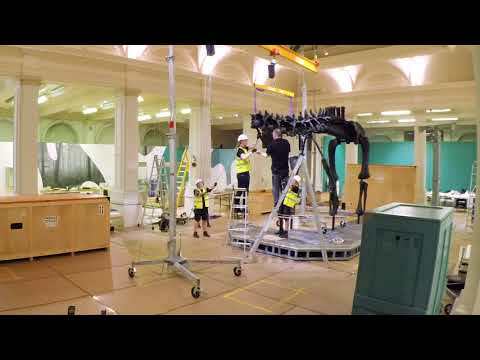 The Natural History Museum in partnership with the Garfield Weston Foundation is working with eight partners UK wide to tour one of its most iconic exhibits, with the aim of 1.5 million people across the UK seeing Dippy in person. Find out more about the national Dippy on Tour: A Natural History Adventure. The full skeleton cast in its displayed pose is an impressive 21.3 metres long, 4.3 metres wide and 4.25 metres high. Not all dinosaurs became extinct 65 million years. One group survived and evolved into the birds we know today. Using Birmingham’s fantastic bird collection this exhibition will also explore how the features we think of as characteristic of birds such as feathers and nests first appeared in dinosaurs. The exhibition will also show the amazing diversity of modern birds and how they evolved to become one of the most successful groups of animals inhabiting almost every part of the world from the oceans of Antarctica to tropical rainforests. For more information about the Dippy on Tour exhibition please read the Frequently Asked Questions. Your Birmingham Museum and Art Gallery Dippy ticket can get you 25% off entry at Thinktank, Birmingham Science Museum until Sept 9th 2018. Show your booking confirmation at the ticket desk at Thinktank to claim this offer. There is no need to print the confirmation out unless you want to, you can show the email on your phone. 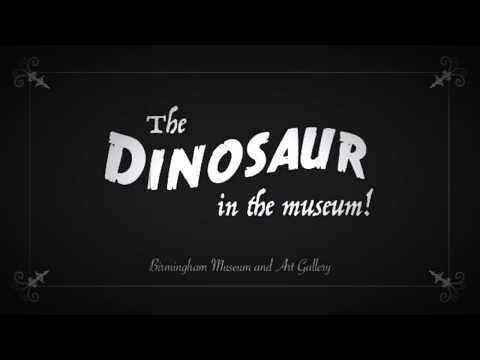 Sign up to our mailing list below to keep up to date with Dippy on Tour events at Birmingham Museum and Art Gallery.